Do you have an IVF or FET transfer approaching? An upcoming cycle can be both exciting and nerve-wracking at the same time. On the one hand, you’re eager to move forward on your journey and finally make your dreams come true. On the other hand, now that you’ve made this huge step, a lot more is at stake and you may be feeling emotionally and financially vulnerable. First of all, you should commend yourself for having the courage to follow your heart and make the decision that felt right for you. I’m sure it wasn’t an easy one to make, and you probably never imagined having to make it. There’s no right or wrong choice, only the one that is right for you and your family. It takes enormous insight, courage, reflection and clarity to make these huge choices. And it’s a testament to the depth of love in your heart that you’re eager to share with your future child. I admire you, and all of the amazing women and men I’ve had the honor of supporting on their journeys, for making so many tough choices. Please take a moment now to appreciate yourself for your courage. Because so much is at stake, you probably want to know everything you can do to support your upcoming transfer, whether it’s an IVF, FET or Donor Egg cycle. With that in mind, I wrote the following blog post to support you during this time. 1) Stock up on positivity, inspiration and humor! Laughing, smiling and feeling good releases hormones that help to relax your body, improve digestion, lower blood pressure and maintain healthy blood circulation. Prepare yourself by renting funny movies or having positive, funny or inspirational reading on hand. If you’re looking for a suggestion, you could watch my interview with psychic medium, Roxy Moore, during which we discuss how to call in your baby and the greater purpose of souls coming to join our families. 2) Eat the right foods. “What are the right foods?”, you ask. First of all, you don’t need to go to any extremes like eating an entire pineapple everyday or going raw. On that note, soups and stews are great, especially seeping the bones in the broth all day before eating the soup. Avoid dairy, sugar and excessive refined carbohydrates. All of these create phlegm and inflammation which is not conducive to a happy healthy uterine environment. Drink a daily dose of green antioxidant powder added to a glass of water (instead of green smoothies). Green smoothies immediately pre and post transfer can also be hard on digestion. Green antioxidant powders are a great alternative. They help to detox the body, strengthen the immune system, and reduce inflammation. I recommend Metagenics Phytoganix because they are the only 100% organic antioxidant powder out there and ridiculously high quality. They’re available in my online supplements store. But you can also buy ones from your local food store or online. How do you chillax (that's relax + chill) when you’re stuck with your thoughts for days wondering if things are going terribly right or terribly wrong? It’s all about your breath. No matter what happens to us in life, we always have our breath to go back to. When you start to freak out, bring your attention to your breath. Notice where you are experiencing the freaking out feelings in your body. Notice how they feel. Don’t judge how you are feeling, just simply observe your thoughts, emotions and physical sensations like a curious observer. You can repeat a reassuring mantra to yourself, “I trust that everything is happening exactly as it’s meant to be for the greater good.” Breathe and visualize your healthy uterus full of light and love. It’s calming, reassuring and guides you to tap into your intuition and welcome your baby into your life. To help relax the muscles and tendons of the lower abdomen, increase circulation, reduce inflammation and relax cramping and spasms, apply a hot pack on low abdomen after the retrieval leading up to the transfer. *Do not use the hotpack after the transfer. * Most fertility doctors advise against applying heat to the low abdomen after they’ve transferred the embryo(s). Staying hydrated is extremely important to avoid uterine spasms. Drink plenty of water. To get electrolytes, drink coconut water, electrolyte-infused water, add lemon juice and pinch of sea salt to your water, or add electrolyte packets that can be purchased at health food stores. *Gatorade and Powerade are loaded with sugar and food dye and so I do not recommend these products. High-impact exercise such as running jars the uterus and can displace it or make the supportive muscles weaker. Heavy lifting causes a down-bearing strain on the uterus and surrounding muscles and ligaments. Proper alignment of the uterus and surrounding muscles help to secure an embryo in the womb during implantation and the duration of the pregnancy. Avoid these types of exercise during stimulation, retrieval or post-transfer. When your doctor approves exercise, I recommend walks and gentle stretching. You can read my blog on safe fertility exercises here. Studies have proven that stimulating specific pressure points before and after a transfer increases the success rates significantly. These studies are responsible for the growing acceptance of acupuncture and acupressure by Reproductive Endocrinologists in adjunct to fertility treatments. Fertility pressure point activation boosts circulation to the uterus and embryo to deliver fresh blood, nutrients and hormones. Specific points also help to relax the uterus and prevent spasming. Self-acupressure can be used throughout the duration of your IVF/FET cycle, as well as to support the early stages of the pregnancy. 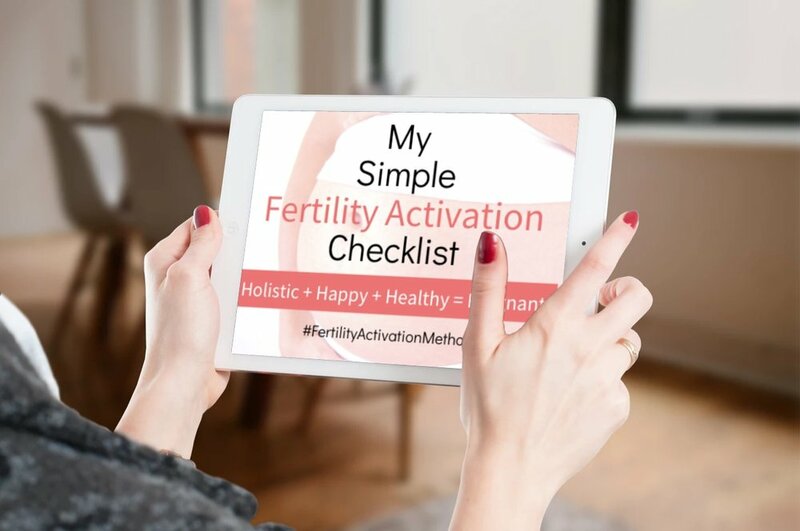 I teach carefully designed fertility pressure point protocols based on research in my home program, Fertility Activation Method™. Get on the waitlist here and let’s get you happy, healthy and holistically pregnancy already!